I truly love that I am seeing and feeling my world within change each day. I started noticing when my old self would start to think about ridiculous things, now I immediately go to true health and liberty in my conscious thoughts. Also, do it now, I can be what I will to be. Very awesome how much time I could waste thinking of ridiculous nonsense and now the time just breezes by in my new world within. Red circles, yellow squares, green triangles, blue rectangles too as I see all the shapes and colors constantly as I go through out my day. My friend Ruthann and I started walking daily back in the spring. I have always looked at where I was walking and paying attention to the beauty of every detail. I also see feathers everywhere I go. I can be getting out of a car and look down and there’s a beautiful feather. I am walking down street and in my path, a beautiful feather. I figured out 13 years ago when this first started happening that it is my deceased soul mates way of telling me hi and everything is going to be great, so that’s also a great reason for me to pay attention. As Ruthann and I walk every day I can not tell you the amount of times I would push her out of the way of a pile of dog poop as she was about to step in it. I will never forget the day I did that and she scolded me for doing that and told me I look at everything and quit it. She didn’t care if she stepped in poop!…haha Well me not noticing everything is not going to happen because I enjoy looking at everything. A month ago just before starting this class, but after I had started reading The Greatest Salesman in the World and putting some of the new blue print into motion on my own I was walking down sidewalk and looked down and found $17.00 on the ground and no one was around for me to see if it belonged to them. It couldn’t have come at a better time because I was short money this week and really needed it. I thanked the Universe. That was my first time I have ever in my life found anything besides change. Four days later I am crossing intersection in Downtown Portland and I look down and walk onto $11 dollars. Ok, two times in less than a week!!! Amazing and it was also proof that I was on to something with practicing what I had started in changing my world within. This is definitely the blue print for success and I will practice daily to change my world within and I will document all the positive effects it has on my World without… We are all one with the Universe and I will be what I will to be!!! I am so excited to be on this Master Key journey for liberty and true health. I can say that this is the exact, right time in my life, that MKMMA would cross my path. I know and have met my “Other self” many times through out my life, and have had amazing life changing effects starting at a very young age. As a 7 yr. old child my favorite hobby was writing to movie stars to tell them my dreams of performing. Over the years I amassed a huge collection of autographed pics and hand written letters from the favorites I grew up watching from Carol Burnett to Debbie Reynolds to name a couple of my very first pictures to arrive in the mail. Years later I would meet almost all of the stars I had written to with no effort by my conscious self and with each having their own unique story. I believe it was my first experience I can remember w/ causes and effects and the law of attraction. In 1974 I was the only 12-year-old I knew, that had his mother take him to the movie, “The Exorcist” and of course I couldn’t tell any of my friends at the time, because I felt like my mom might get turned into child services. Ten years later at 22 years old (30 years ago), I met Linda Blair when she was invited to my house for a BBQ, after my roommate had spent the day with her as a guide at Universal Studios opening in Orlando, FL.. We met and connected immediately and have been friends since. I just celebrated Linda’s last birthday with her on her trip to Portland last January and then she invited me to my first comic con where she was signing autographs. As her VIP guest for many events over the years and spending time with my old friend is always a blast! MMMM… law of attraction? 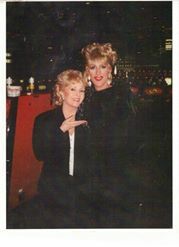 In 1993 I started managing a cafe for Debbie Reynolds in Vegas where I was prompted by my new friend, boss and stage mother at the time Debbie, to create my own act. I started performing with Debbie Reynolds and Rip Taylor on stage for an audience of Debbie’s fans and always many celebrities I had written to and watched on TV . It was a dream come true for me, being able to sing and perform with a legend. MMMM… law of attraction? Oh and years before I worked at Walt Disney World where I met Carol Burnett!! In 1995 my partner was diagnosed with a life threatening illness and I spent the next 2 years taking care of him until he died in my arms in 1997. I went back to work full-time for a year, only to start having a hard time walking. I was sent from one doctor to another to be told I had something I didn’t have until 2000 came and I was completely paralyzed and become unable to do normal functions like walk and eat on my own. I was the only one who believed I would recover. I had reoccurring dream I was in a gorgeous old theatre and I was walking up the stairs to the balcony and as I walked I would fall down to my knees, get up, continue walking, over and over again. I spent 16 months paralyzed until I found my hero doctor in Detroit, Dr. Alex Tselis who took one look at my medical records and me slumped over in wheelchair and let me know immediately he knew I had been misdiagnosed and he needed to run some tests to confirm it, but thought he had a treatment for me. He was correct and after diagnosis of CIDP, my treatment began and within four days of first treatment I was able to take my first steps in almost two years. I spent many months in physical therapy and I did have some permanent damage but so be it! I give thanks everyday for finding Dr. Tselis and being able to recover from paralysis. I was still in therapy when I decided I wanted to move to Portland, Oregon because one of my sisters lived here at the time and she told me I would love it here. I can only tell you that when my feet hit the ground after flying here for a visit in 2001, which my first flight was scheduled for September 11th and was canceled and rescheduled as that horrible nightmare of 911 occurred for all of America. I promise I have always gone through bad times with a smile on my face and happiness in my heart, just to make it another day. I can remember the feeling of my “other self” and just pure positive causes within and I feel closer now to getting back to that person and totally being stronger and happier than I have been for years. When I listened to last Sunday’s class and Mark talked about giving your best I had some doubts flash through my mind, when at the same time I know how much fun this class is and how it feels so right to me, and at that exact moment Mark decides to use Karate Kid as a metaphor and boom I knew MKMMA was meant to be! 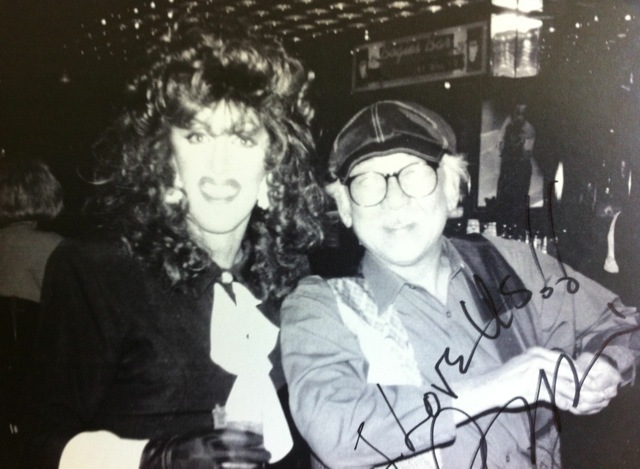 When I worked for Debbie I met Pat Morita ( Mr. Miyagi) and we became buddies. He and his wife came into cafe every Sunday for dinner. He always called me Danielson!! Wow, what an honor…He knew I would start performing with Debbie in our new show “Jazz and Jokes” in cafe I managed and he arrived for the very first show to watch and give me support! He was a wonderful man and miss him a lot. RIP Pat!! If that wasn’t enough convincing for me, one of the next lines Mark gives is the blue light is flashing Kmart shoppers. When I was on tennis scholarship in Florida playing at Lake -Sumter College in Leesburg, FL. in 1981 I worked as the very first male cashier at the Kmart there and I quickly was promoted to checkout supervisor, also first male checkout supervisor, where I did daily Blue light specials…also the first male to do blue light specials in this store. Masterkey week 2 started with a very bad chest cold, my first in at least 7 years. Two days with fever at 101 and for the first time in my life, it didn’t make me feel bad. I have had fevers as low as 99.3 and they have ALWAYS made me feel horrible. Made my index cards along with Mark in class and picked my PPN’s which are Liberty and True Health. My chore by October 12th is clean and organize my huge closet and do laundry (laundry bin is in closet), I had 6 loads which I finished Wednesday morning. I will do the closet either tomorrow or Saturday, I keep my promises! Reading has become easier as time has gone on. I know it will just keep getting easier and easier. I know it will! Tuesday I started seeing blue rectangles while shopping, then there was a billboard while driving and also noticing the color blue too. Boom, my mind went right to, “I manifest Liberty and True Health, I keep my promises”, which is really powerful and truly amazing catching the trigger for the first time at work. At that moment I knew this whole system was going to work and this is what Mark had mentioned about triggers. Masterkey makes me so excited when I think about the possibilities in my life as I move forward each day. Wednesday morning I shot out of bed with a smile on my face. I also had to make work related calls to East Coast so being that I live on West Coast it always makes for earlier mornings for me. I don’t mind because I love the mornings. I had my call back this morning from the Wednesday call and I signed a new affiliate to my team. The first in over 2 months! Yahoo. Being new Ecommerce affiliate field I have spent a lot of time trying to set up some organization with what I do and had been setting up a whole new system this week. 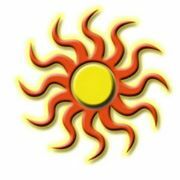 I found that it was all easier than usual since I had gotten my MKMMA organized. Well it’s Saturday and my closet is finished. I didn’t take pics inside so you have to take my word for it that it is very organized . Pics make it look smaller, but it’s goes off to the right inside where I have plastic bins and boxes stacked neatly where I can access them. Yahoo for finishing!! I know I am open and ready for this class at this exact moment in my life. I am so excited about the change to my causes that I will see very soon, as I work hard daily to achieve all course objectives which will give me the desired effects to be the happiest and most successful person I can be. I have been waiting for this in my life after I experienced my “other self” in the year 2000 after contracting a rare nerve disorder that rendered me paralyzed along with the most excruciating nerve pain for almost 2 years. I never gave up, with re-occurring dreams almost nightly, that I was in a gorgeous old theatre where I ascended staircase and while doing it would drop to my knees. I would always get up and keep moving higher up the staircase. I NEVER gave up because I knew I would recover and to regain the use of my hands, arms, feet and legs again. I was the only person who believed. I did walk again, after finding my hero doctor and friend who correctly diagnosed me and treated me. Six months later I would move to Portland, Oregon where it felt like I had come home. Just two years ago I released a toxic family member from my life and have felt an upward momentum ever since. I moved into my own apartment in downtown Portland last November after owning a house in outer Portland for 10 years. Since I moved into my new apartment I have more friends than I have ever had and give thanks every day for each and every one of them. I have felt happier, more confident and optimistic about my direction in life and want to continue on this path, which I feel inside the Master Key will be the tool to get me there! . I give thanks to Mark and Davene and everyone involved with helping us all to achieve Master Key success and to bring into our lives exactly what we individually desire. I promise to do the work daily to achieve success. Thanks again to you and thanks to me for starting something I WILL finish. I will be what “I” WILL to be! Wow! I am looking for a word more powerful than “Wow”, but for now it will have to do. Let’s say it’s a big powerful wow! I was excited about all the exercises and daily homework and I have to be honest, an old habit popped up, which was, would I be able to accomplish all the work? Maybe I will just quit right now! My answer is no! I conquered that old habit and kicked it to the trash. I will finish what I start and keep my commitments. I always keep my promises. I am able to do all the work with much joy, excitement and an open positive mind to learn. The biggest achievement was remembering to sit still for the 15-30 minutes and upon reading and re-reading instructions, I read, “Do not let your mind wander”, so from the beginning of day one I sat still with a blank mind. So much easier to let my mind wander. Happy to see week #2 quiet time is with a blank mind. yahoo! Using stop watch and list definitely helps me to remember and finish my quiet time. I received an email from my coach Jason and am very happy to meet him and have him on my team because he really seems like an authentic and wonderful guy. His comment on my DMP was “well done” and he would contact me with suggestions to make it even better. I am looking forward to his email. I am a color blue and was shocked with the details because I am word for word a color blue!! I have always felt off course when I have been alone and as a color blue, the need for a relationship is at the top of my list, but 17 yrs ago when my soul mate died in my arms after 8 year relationship, I just decided I didn’t have the energy to put out that was needed to find a new love. I only recently, prior to course starting, did I change my thinking on that and I am ready to meet the right person. Had I read the description of all the colors prior to the test I would have definitely picked blue for me. I am so excited to be on this Master Key journey to achieve every word in my Definite Major Purpose (DMP) I can feel deep down that this is the exact time in my life that MKMMA would cross my path for a complete, positive change. I know and have met my “other self” many times through out my life, and had amazing life changing effects starting at a very young age, but as we are learning as a youngster we are all more open to this all. I promise to do all the wonderful, fun and exciting life changing work in this course to acquire all my needs starting with TRUE HEALTH and LIBERTY. I always keep my promises!! I will BE what I WILL to be! !